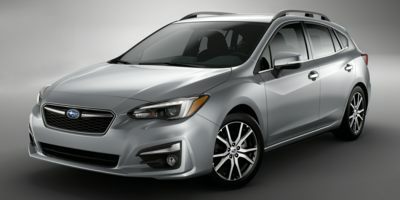 The 2019 Subaru Impreza comes in two different body styles--a hatchback and a sedan. No matter the body style, however, power comes from a direct-injected 2.0L flat-four engine making 152 horsepower. Power is sent to all four wheels via either a standard 5-speed manual transmission or a continuously variable automatic. Either way, the Impreza will make an ideal companion for trips into the mountains, where snowy weather is no problem for its all-wheel drive system, which automatically seeks out and send power to the wheels that need it the most. The Premium trim comes standard with a CVT, which helps fuel economy numbers of 28 mpg in the city and 38 mpg on the highway in the sedan. The Premium trim adds 16-inch alloy wheels, heated mirrors and front seats, automatic headlights and a nicer sound system with more speakers. The Sport Trim aims to bring a little bit of fun to the Impreza lineup. The biggest trick up the Sport Trim's sleeve is an active torque vectoring system, which works in conjunction with stability control to actively improve the car's handling, at times braking an inside wheel mid corner to help the car turn in. Further aiding handling are the Sport's wider tires and 18-inch wheels. The Sport also gets unique side skirts, mirror-mounted turn signals, a spoiler, a leather-wrapped steering wheel and shift knob, and unique upholstery. Keyless access and a bigger 8-inch multimedia display round out the features that come standard on the Sport. The Impreza returns for 2019 with just a few minor improvements. Subaru's STARLINK Multimedia Audio package is now available for the Impreza while a new set of black, machine finished wheels look great and are newly available in 2019. Prices increase by just $100 for the base model in 2019. The Subaru Impreza is a compact car that competes in a crowded segment with such stalwarts as the Ford Focus, the Honda Civic and the Toyota Corolla. Subaru's signature has always been all-wheel drive, and the Impreza keeps with this tradition, offering more go-anywhere and all-weather capabilities than its competition. Subaru keeps the Impreza's fuel economy rating strong with its optional CVT automatic transmission. Prices start at just above $18,000.